We're not here to just rent you a motorbike. We have an intimate knowledge of Australia and enjoy helping with motorcycle routes, distances, accommodation and places of interest. 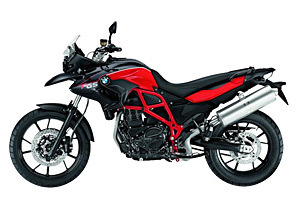 Unless otherwise specified all the motorcycles include an unlimited KM allowance. Ask us to help plan your trip. We'd be really pleased to help! BMW R1200 GSW Hard side panniers included. Tank bags can be supplied on request. 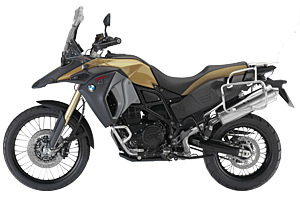 BMW F800GSA 'Adventure' variant. Hard side panniers included. Tank bags can be supplied on request. 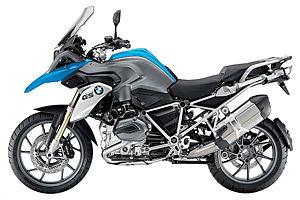 BMW F800GS Hard side panniers included. Tank bags can be supplied on request. 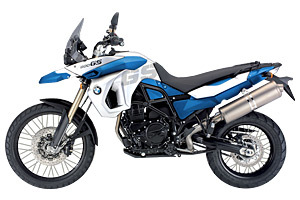 BMW F700GS Soft side panniers included. Tank bags can be supplied on request. 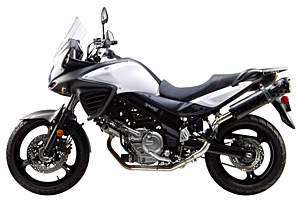 Suzuki DL650 Soft side panniers included. Tank bags can be supplied on request. 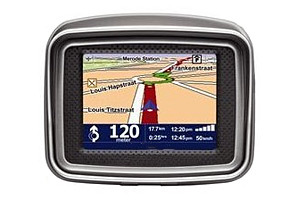 GPS / Sat-nav Charges are per-day. For long term rentals please contact us. 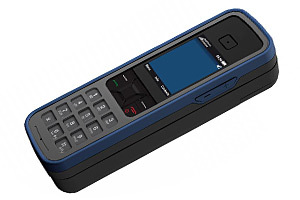 Satellite phone Charges are per-day. For long term rentals please contact us. Q. What are the terms and conditions for renting a bike from Darwin? A. There are specific terms and conditions for the Darwin depot for bike rentals. These can be seen by selecting the 'terms' link for the appropriate bike, or clicking here for the Darwin terms and conditions. A. The depot is in Coconut Grove, Darwin. This is just 5 minutes (4km) from the airport and very simple to reach by taxi. From the centre of Darwin it is about 8km or 10 minutes by road. The Darwin depot is operated by a BikeRoundOz Group Partner. A.You are welcome to leave your luggage at the depot during your trip and there is no charge. Any post office can ship your luggage to another depot for you or we can put you in touch with a courier company that will ship it for you. Many people use large soft holdalls for their luggage so they can put the contents in the panniers, fold up the bags and take them with them. If you are travelling alone then a waterproof holdall can always be strapped to the pillion seat for extra storage capacity. Please note: If you elect to have your luggage shipped with one of the courier company then we can help make the necessary arrangements, but the final responsibility for the transport is with the courier / shipping company as they are not part of BikeRoundOz. Further details are available in the terms and conditions. A. Good quality helmets, gloves, textile jackets, trousers and gloves can all be rented but if you are on a longer trip it is often more comfortable to bring your own equipment. No guarantees are made for riding gear and it is rented at your own risk. Prices can be seen above. A. The security bond is processed on your credit card and refunded upon safe return of the undamaged bike. The insurance excess is the most you would have to pay in the event of an accident. If the damage is only AU$100, for example, then that's all you pay but if the damage is AU$6,000 and the excess is AU$3,000 you would be liable for AU$3,000 and the insurance pays the remainder. A. You will need a full bike licence written in English. If it is not in English you will need an International Drivers Permit. You will also need your passport if from overseas and a VISA or Mastercard for the rental payment and security deposit. Don't forget to bring the booking confirmation with the address and telephone number of the depot so you can find it when you arrive! A. Yes, see costs detailed above.